While I am away on the Low Carb Cruise I have reached out to some of my favorite low carb or Paleo bloggers to share some delicious recipes with you. First up is Vanessa Romero from Healthy Living How To, with a delicious dessert recipe that will be perfect for Cinco de Mayo! Please welcome Vanessa and enjoy her guest post. Hello Living Low Carb One Day at a Time Readers! While Karen is away networking and enjoying herself on the Low Carb Cruise, she asked if I would be willing to create a healthy low-carb recipe for you all. And of course, I said yes. For those that don’t know me, I am Vanessa Romero. I have been living the low-carb lifestyle since 1/1/2001. I blog at Healthy Living How To and recently celebrated my two year blog anniversary. I have a pretty active Facebook page as well. 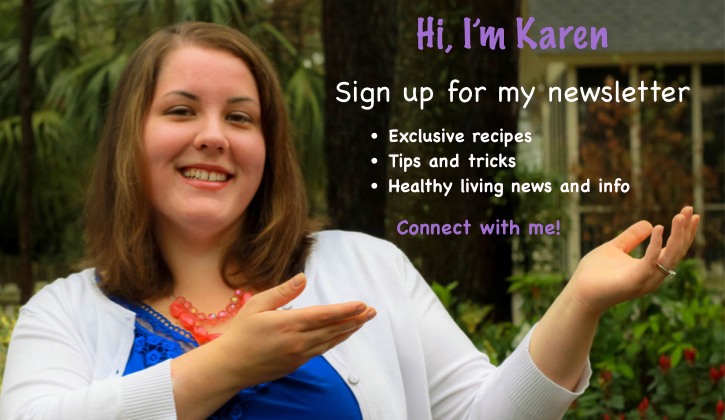 I like to call myself a healthy living enthusiast, not only do I create delicious low-carb recipes, but I also blog about living healthy in mind, body and spirit in an unhealthy world. When I realized my recipe would publish right around May 5th, I decided it only fitting to share a little bit of my Mexican heritage, with something that is fitting for a Cinco de Mayo celebration. Cinco de Mayo is an “optional” holiday in Mexico, however, in the United States it is a day to have a fiesta and celebrate Mexican culture, particularly in communities with large Hispanic populations. I’ve got a collection of low-carb Mexican-American healthy recipes on my site, if you want to go all out and plan a fiesta. 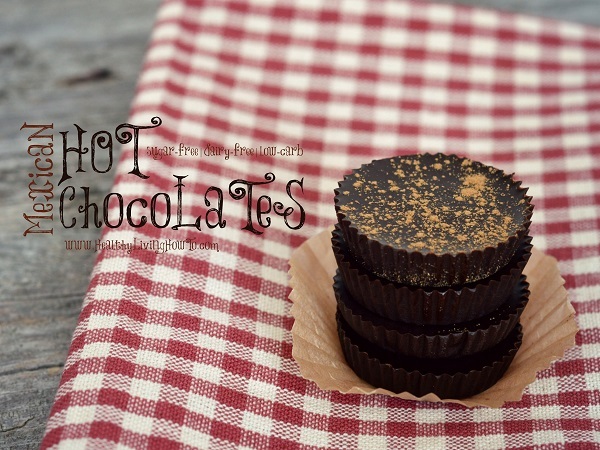 Check these out…Mexican Hot Chocolates with coffee, cinnamon and cayenne pepper. Ai yai yai! (that’s an exclamation of excitement in Spanish) Let’s get to the recipe, shall we?! With a box grater, grate cocoa butter. Using a kitchen scale, weigh out 2 oz. Save any extra for your next batch. Fill large mixing bowl with very hot tap water. Add grated cocoa butter to Pyrex measuring cup with pouring spout and place inside large bowl (filled with hot water). With a spoon, stir gently until cocoa butter is completed melted and smooth. Takes about 3-5 minutes. Be very careful not to splash any water into cocoa butter. To melted cocoa butter add cocoa powder, coffee extract, cinnamon, cayenne pepper, stevia and salt. Line mini-muffin tin with non-stick liners or use silicone candy molds and then fill evenly. Speed set in freezer for 15 minutes and then transfer to refrigerator for storage in a sealed container. Dust with cinnamon or if you’re really daring a little more cayenne.